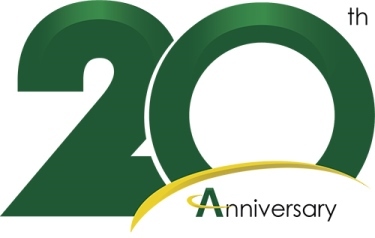 AmeriCash Loans plans to celebrate our amazing journey to 20 years in business by thanking you, our loyal customers. Keep watching for some amazing news about our anniversary celebration in the coming months! You asked and we listened! We’ve overhauled and updated our website and Loan Management System in an effort to provide you with the greatest customer experience and get quick cash loans with a fast, easy, respectful and confidential experience. Along with our efforts to make all of our online customers’ loan application process a great experience, we brought all of our locations into the online market, allowing our customers to decide when and where you want to find us. AmeriCash Loans brand is re-launched to match our customer’s expectations and meet the needs of an ever growing and evolving installment loan industry. AmeriCash Loans launched and implemented our Loan Management System by formally introducing the process into our store locations in Illinois, Wisconsin, Missouri and South Carolina. Approval in three, two, one… We are live! AmeriCash Loans launches our new online loan website - www.americashloans.net - Licensed in Illinois, Wisconsin, and Missouri. AmeriCash Loans responded to customer requests to access loan applications online. Our awesome development team designed, developed and launched our first online loan platform - Checkbookloans.com - (no longer active today). AmeriCash Loans proactively works with regulators to revise the Consumer Installment Loan Act and Payday Loan Reform Act in Illinois in efforts to provide our customers with the service they need and deserve. AmeriCash Loans refocused on providing the best product to help our customers by discontinuing offering cash advances in Illinois, to focus solely on expanding our installment loan product. Continued growth prompted AmeriCash Loans to open new locations in South Carolina; offering installment loans only. AMERICASH LOANS CELEBRATED 10 YEAR ANNIVERSARY! Yay! We did it! (We couldn’t have done it without your help, of course!) After 10 years in business, AmeriCash Loans had helped thousands of customers get quick cash loans with a fast, easy, respectful and confidential experience. Further growth led AmeriCash Loans to open our locations in Missouri; offering installment loans and Checkbook® loans. AmeriCash growth and expansion led us to open locations in Wisconsin; offering both installment loans and cash advances to our customers. Our customers are our greatest resource and to show our appreciation to you, we launched the Refer-A-Friend program. Check out the great benefits of this industry ground breaking program here, Refer-A-Friend FAQ, where we put cash back in your pocket and your friends and family, too! GREW TO 28 STORE LOCATIONS! In just five years, as our loan process and loan product portfolio grew, so did our customers (that’s you!) and we successfully opened 28 stores in Illinois by the end of the year. Thank you! AmeriCash Loans introduces installment loans; a short-term loan that allows borrowers to access larger loan amounts for longer terms and at lower rates. AmeriCash Loans opened our first store in Des Plaines, Illinois. We began making short-term loans available to our customers by offering cash advances in times of need. AmeriCash Loans is founded in 1997 in Des Plaines, Illinois in a small office above what would be our first store location.